It’s not every day I have the chance to chat with an attorney who knows a thing or two about Internet law. Scott Reib happens to be one such attorney, and you are going to want to hear what he has to say about doing business online today. The deeper we go into the 21st century, the more important it will be to understand the legal parameters of running an online business. Scott is on a mission to disrupt the legal industry, and he’s off to a great start in making that paradigm shift! Believe or not, lawyers can be a business owner’s best friend and not just when things are heading south in a fast way. Scott Reib (pronounced “Reeb”) is known as America’s Legal Coach. He’s the official Zig Ziglar Small Business Lawyer, a Ziglar Legacy Certified Trainer, and he has over 20 years of experience as an attorney. 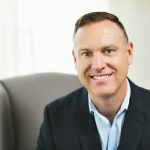 For the last two decades, Scott has been helping business owners, entrepreneurs, coaches, and service providers to “shatterproof” their businesses and succeed in the professional world. Scott is a firm believer that seeking legal advice doesn’t have to be intimidating or expensive if we treat lawyers like primary care doctors instead of ER doctors. Through his subscription-based Access Plan legal service, Scott is making great strides in shifting that perspective. To get the generous offer Scott Reib shares with Team PYP, click here.